Ah Go On, Go On, You Will! 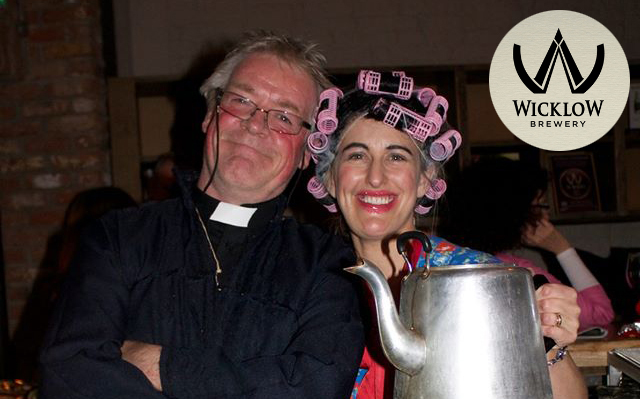 This festival is a must for any avid Father Ted fans. This is the 6th annual Redcross Father Ted Fest and the tea and drink are guaranteed to be flowing. It’s Saturday, October 28th at Wicklow Brewery and Mickey Finn’s Bar, only 5 minutes from Lazy Days in Redcross village here in Wicklow. All of your favourite characters are sure to make an appearance for one night of unholy chaos. There will even be some singing priests (AKA Feel the Pinch). Wicklow Brewery and Beer Hall and Mickey Finn’s Bar are all part of a thriving business cluster including River Valley Campsite and the Brewery Bistro. All nestled away in the quiet village of Redcross, Co. Wicklow. Luckily River Valley Campsite is open until the 1 November! Hire a Lazy Days VW camper and enjoy the Craic, good food, drinks and music in Redcross by night and explore Wicklow by day. There is plenty to do in Wicklow in October and November for some other great weekend getaway ideas check out our posts on Autumn in Wicklow and Halloween in Wicklow. Here’s Ímar playing the Father Ted theme tune to get you in the mood !